Hauser & Wirth is pleased to present ‘ERRÂNCIA POÉTICA (POETIC WANDERINGS),’ a solo exhibition of new and recent works by Anna Maria Maiolino, one of the most significant artists working in Brazil today. 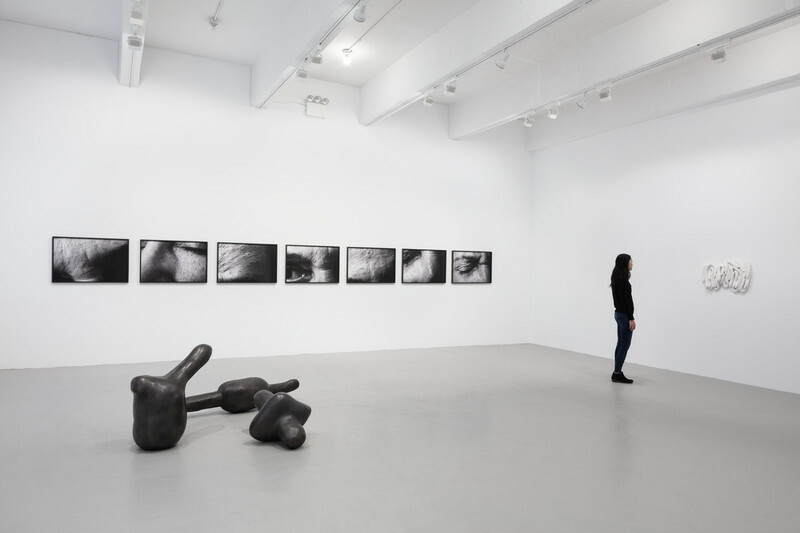 For over five decades, Maiolino has drawn from her personal history as an artist, migrant, and mother, to produce works that relentlessly challenge accepted notions of desire, language, and sexuality while celebrating the viscerality of embodied experience. 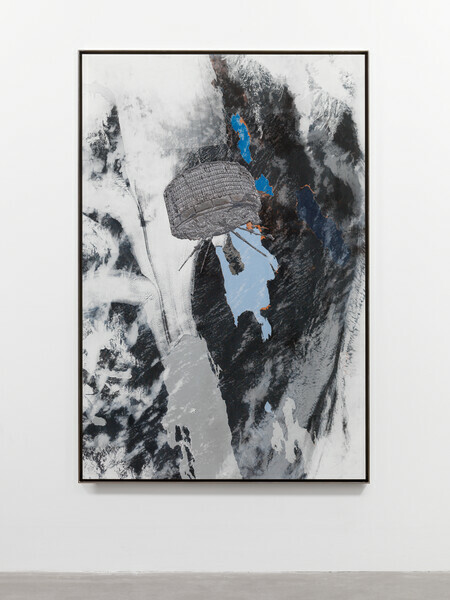 On view from 14 November through 22 December 2018, the exhibition highlights multiple dimensions within Maiolino’s oeuvre, presenting more than fifty of the artist’s sculptures, drawings, paintings, photographs, and videos, as well as a new site-specific installation that continues her iconic Terra Modelada (Modeled Earth) series. 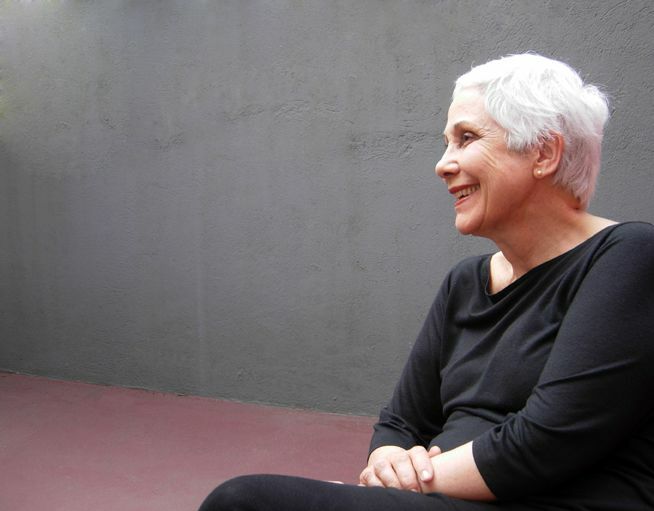 Maiolino’s formative migration from post-war Southern Italy to a politically unstable South America, as well as her linguistic passage from Italian to Spanish then to Portuguese, has engendered an enduring fascination with questions of identity. Her work immerses itself in a range of themes, from cultural and linguistic displacement, to deprivation and sustenance, to everyday domestic rituals. The open-ended nature of Maiolino’s practice enables self-described ‘poetic wanderings,’ as she works freely across media and disciplines. Evolving in a spiral rather than linear succession, Maiolino’s art is one that offers a new language for the often precarious realm of daily human existence. At the heart of the exhibition is ‘in-locu,’ from the Terra Modelada (Modeled Earth) series, a never-before-realized unfired clay installation that was first conceived by Maiolino in 1998 for the 24th São Paulo Biennial. 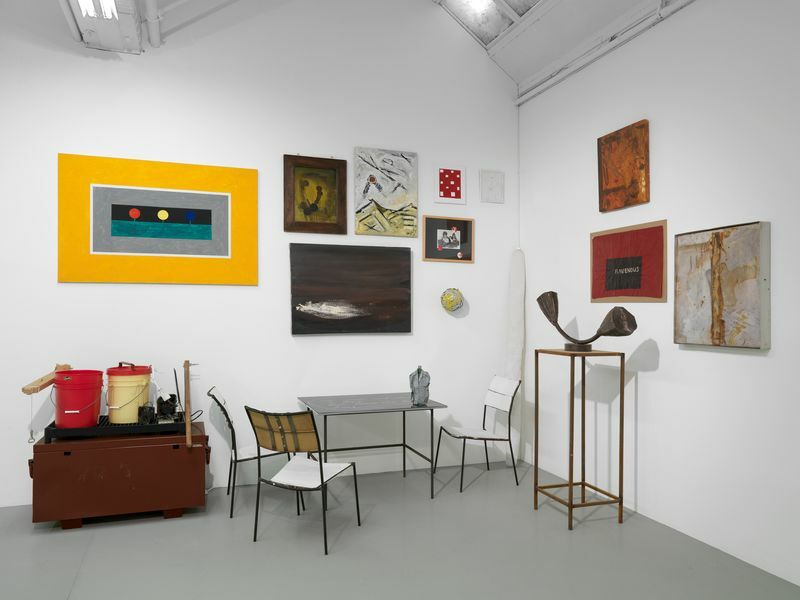 Ultimately, Maiolino deemed the Biennial’s space too small for this large-scale work, and for the subsequent two decades she has sought an opportunity to carry it out. As Maiolino has envisioned it for Hauser & Wirth’s 22nd Street space, ‘in-locu’ consists of soft amorphous forms that the artist rolls, kneads, and shapes into place on site. 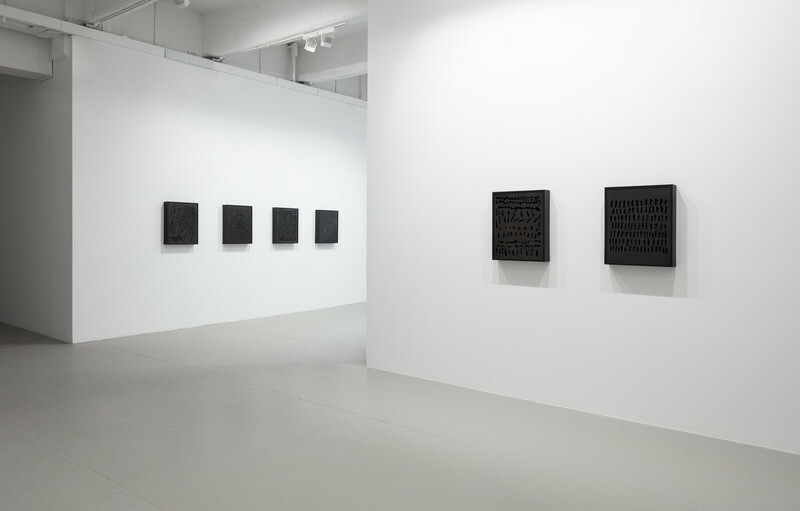 Maiolino’s laborious processing of raw material is ritualistic and profoundly personal – she has said that her first encounter with clay in the late 1980s ‘provoked a storm’ within her. Here, the artist’s touch is recorded in the endlessly malleable clay from which each component is made, evoking the handwork of daily rituals and the bodily functions of eating and defecating. 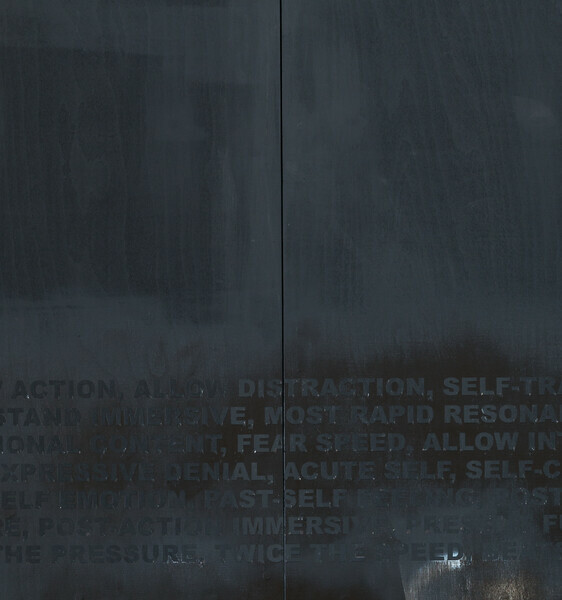 In this sense, ‘in-locu’ serves as a reminder to the viewer of his or her own corporeal appetites. The faint scent of the wet clay highlights the installation’s temporality, and as the mutable material continues to dry, shift in color, crack, and decay throughout the run of the exhibition, visitors are reminded of mortality and its poignancy. Maiolino relates the act of molding clay to the act of writing and the mobility of drawing. In the artist’s hands, paper becomes more than a surface for mark-making; it is both ‘matter and body,’ expressed through the act of gesture. 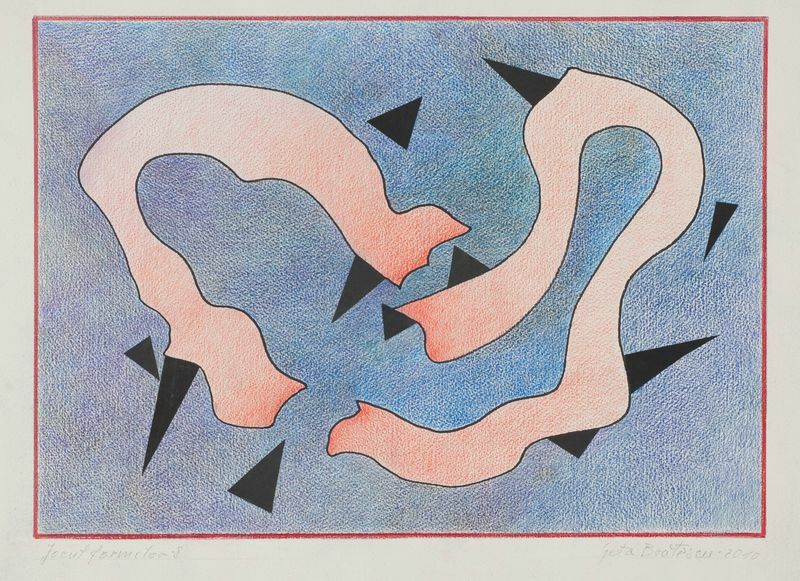 For each of her drawings, Maiolino has developed a system of serial movements that render distinct results. 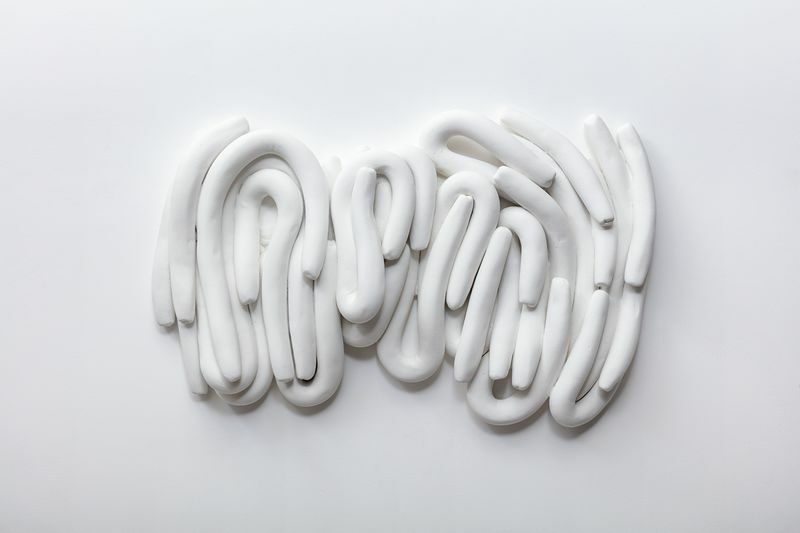 In two new works from her ongoing Filogenéticos (Phylogenetics) series, the repetitive and rhythmic actions that Maiolino applies to clay are captured on paper. Each drawing comprises a dense network of homogenous lines that wrap themselves around a biomorphic red mass, mapping time and evoking a cellular organism in constant metamorphosis. 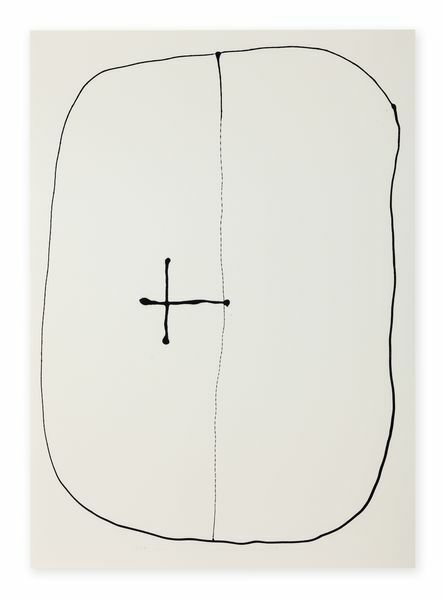 Works from the Peculiaridades (Peculiarities) and Pré-indefinidos (Pre-undefined) series retain a more graphic refinement, some appearing like an alphabet of signs, others like diagrams or charts. 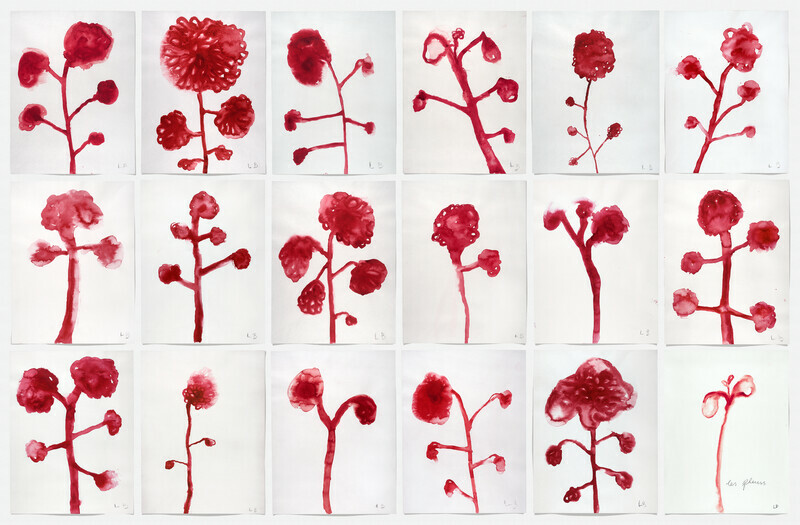 In her new paintings from the series Ações Matéricas (Material Actions), Maiolino continues techniques used in her Aguadas (Watery) works on paper. She covers the canvas in a single color – yellow, red, or white – and then pours black acrylic paint onto the surface, intuitively maneuvering the canvas to guide the viscous paint across the space. The meditative approach, allowing gravity and the surface of the canvas to determine the composition, results in amorphous shapes that echo the organic forms of Maiolino’s sculptures, such as her coiled Cobrinhas (Little Snakes) (2018), made from cement and mamor powder. 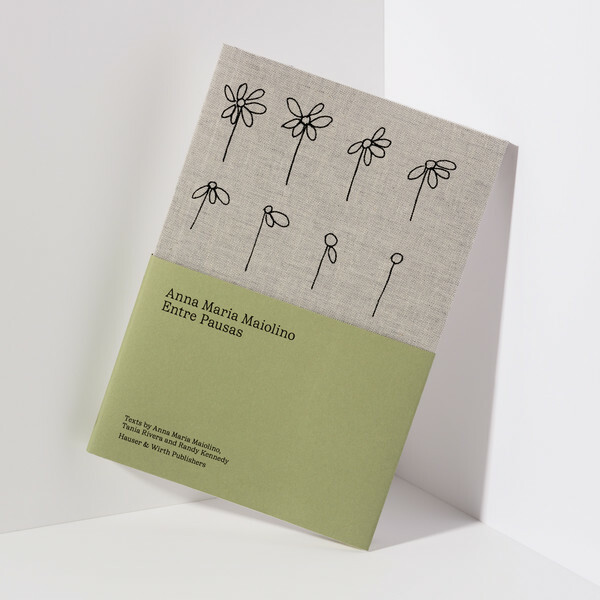 On the occasion of ERRÂNCIA POÉTICA (POETIC WANDERINGS), Hauser & Wirth Publishers is pleased to release ‘Entre Pausas’ (Between Pauses), a new artist book that publishes 74 drawings from Maiolino’s eponymous series for the first time. 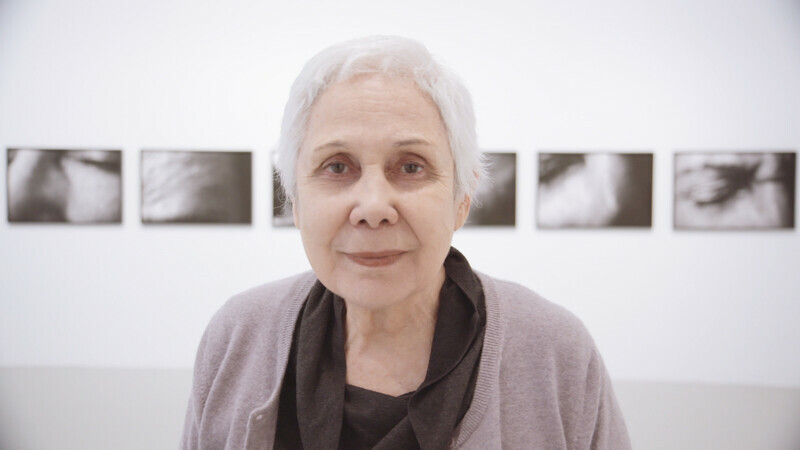 In 1968, Maiolino left Brazil, which was then in the midst of a repressive military dictatorship, for New York with her husband and two children, where she lived for two years, operating as part of the growing Latin American artist community in the city and balancing her roles as a mother, wife, and artist. Caring for her two young children while her husband worked, she often felt overburdened by domestic life and isolated as an immigrant in a new country. Seizing every opportunity to make her own art, Maiolino began to draw in her spare moments, capturing scenes from her everyday life with immediacy and wit. 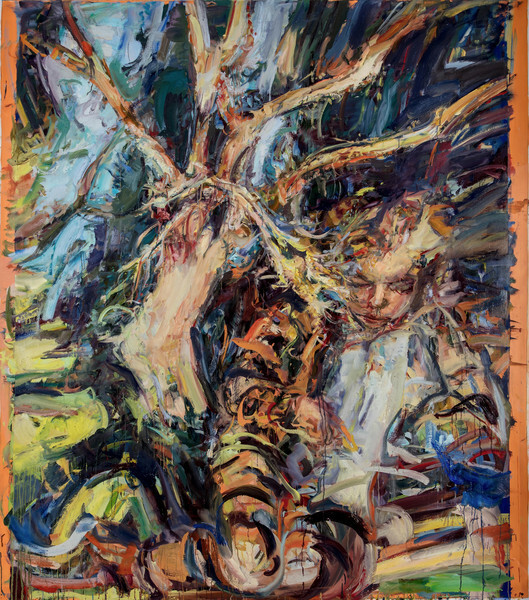 The resulting series of images also engaged with larger artistic and political questions, and became the genesis point for themes that she would revisit in her art for decades to come.